Sheila manages the practice. 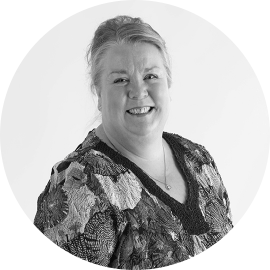 Her skills in recruitment, systems and keeping people on their toes, as well as her having a sixth sense mean that she is at the forefront of ensuring we deliver a high quality of service to you. Whether she is in the office or not, we all strive to please her and she is really working on your behalf, so we have to be better than good; in fact she wants us to be better than you expect us to be and that’s tough, but we constantly try! She has a very varied and successful background; from managing a pub when she was just eighteen years old; being the most successful Director of Studies at a top 10 firm of Chartered Accountants (not us, yet!) with students achieving a 100% pass rate (yes, they were shown how to be better than they expected too, and they thanked her for it! ); as Director of Recruitment at another top 10 firm, analysing which graduates were most likely to succeed and persuading them to join the firm; running her own business for 15 years advising charity clients on tax effective giving and fundraising systems; named in the 1st Edition of Debrett’s Distinguished People of Today. We’re lucky to have her on our side to keep us in shape; let’s face it we wouldn’t want her to be on anyone else’s side, would we? Her caring attitude and desire for us all to be happy is what makes our business the great place to work that it is, so when you hear us having fun, be sure that it’s Sheila’s hand at work! And if for some reason we don’t live up to your expectations, we are truly sorry and we do really want you to tell her Email her at sheila@jacobsallen.co.uk, though it would be great if you can also tell her when we have delivered value to you.